At Sunderman Construction our philosophy is unique and simple. 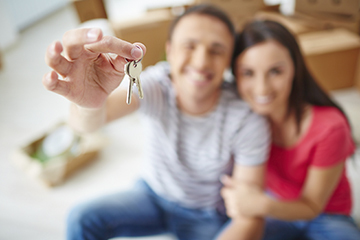 We realize our role is to help you build your dream home. We are focused and committed to exceptional quality and craftsmanship at a great price. Throughout the building process you have the ability to customize your home by choosing from a variety of options every step of the way. Sunderman Homes are known for their quality and value. With over 25 year's experience in the construction industry, Jerry Sunderman has seen trends come and go, but one thing remains constant, Jerry's pursuit for quality. 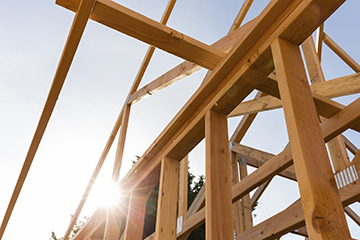 Building a house can be far more complex than you realize. 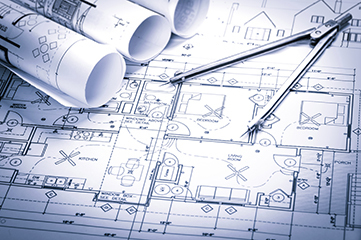 We make sure the arrangement is spelt out in the building contract as clearly as possible. Once building begins, we will keep you updated on how your home is progressing and what decisions will need to be made in the near future. Our team will help you transform your thoughts and ideas, into the custom home of your dreams, while utilizing the most up to date styles and trends. Many of our standard features exceed the quality of other home builders. 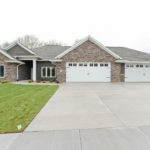 We have built homes in the Madison, WI and Buffalo, NY areas. 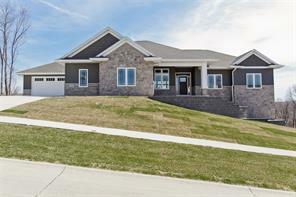 We have also purchased newly built, already completed homes in both Marion, IA and Appleton, WI. We can not say enough about the quality and thoughtful details in our home built by Jerry Sunderman. It is obvious that Jerry and his staff build homes as if they were to live in the house themselves. From the beautiful woodwork, to the wonderfully rounded corners, from the central vaccuum system to the lawn sprinkler system, from the abundance and quality of kitchen cabinetry to the super organized plumbing and electrical system. All of his homes seem to have much thought and consideration of the buyer. We were very happy with our Sunderrman home. We firmly feel that Jerry Sunderman is the best builder that we have encountered. He definitely builds his homes like he is a buyer! We built our home with Sunderman Construction over four years ago, and we have recently finished our basement--also with Sunderman. We are as pleased with our home today (if not more so) as we were when we first moved into it. When it was time to finish the basement, there was no question whom we would choose, and working with the Sunderman team continues to be effortless and fun. Four years ago we visited many existing homes and had never considered building one--until we met Jerry Sunderman and his family at one of their Parade Homes in 2007. Of all the options we explored, none could compare with the quality and value of a Sunderman home. Jerry attentively listened to us and we quickly determined the best style of home for us, at the best value, with a build schedule that would accommodate our time constraints. Sunderman Construction exceeded ALL of our expectations. We respect Jerry's significant experience in construction. We appreciate that he is also open to any ideas we have and isn't afraid to save us from some of them that aren't so good 🙂 He is a professional businessman whose Honesty, Knowledge, Experience, and Integrity are exemplary. Jerry truly values his customers and stands behind his product. Jerry Sunderman, Ryan Sunderman and the entire Sunderman Construction team will always get our business and our highest recommendation. Choosing a builder was one the biggest decisions my wife and I made. We built our home with Sunderman Construction in the Spring of 2013 and it was a very enjoyable experience. Going through the building process for the first time was a little intimidating, but Jerry and Sunderman Construction took the stress out of building a new home. Jerry is very knowledgeable about current trends, latest styles, and building codes. The craftsmanship and construction of our home is something that our family will enjoy for many years. Jerry was honest, communicated daily on the progress of the construction, and was open to all our ideas. The Sunderman Construction experience was one is we would recommend to anyone considering new construction. Sunderman Homes are known for their quality and value. With over 25 years experience in the construction industry, Jerry Sunderman has seen trends come and go, but one thing remains constant, Jerry’s pursuit for quality. Jerry insists only those homes held to the highest standards can be called a Sunderman Home.